Choline is often the center of a great nootropic stack. Because without adequate levels of choline in your brain, the rest of your stack is unlikely to work very well. Choline is neither a vitamin or mineral. It is a water-soluble “nutrient” related to the B-Vitamin group. Choline was recognized as an “essential” nutrient by the US Institute of Medicine in 1998. [i] “Essential” because your body cannot make enough choline on its own. You need to get it from food, or a supplement. Choline is found naturally in eggs, liver, beef, salmon, cauliflower, Brussels sprouts and breast milk. Eggs are often considered “brain food” because they supply high amounts of choline. Choline is needed by your body for liver function, normal brain function and development, nerve function, muscle movement, cellular energy and metabolism. Choline assists in methylation involved in genetic expression and the repair of DNA, nerve signaling, and detoxification. Your brain has a huge appetite for choline. It is critical for the synthesis of the key neurotransmitter acetylcholine. Which your brain uses to maintain clear communication between its billions of neurons. Choline and acetylcholine are needed for the basics of attention, focus, memory, mood, thinking, and sleep. 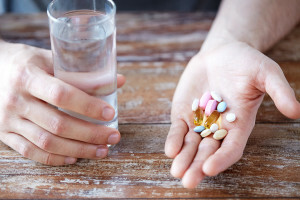 Not enough choline and you deal with poor recall, memory loss, fatigue, brain fog, inability to learn, feeling irritable or distracted, and difficulty walking or staying balanced. If you use any of the racetam-family of nootropics in your stack, you likely should add a choline supplement. Because the racetams all affect choline and/or acetylcholine use in your brain in some way. I’ll dive into more detail on how each of the racetams affect acetylcholine in your brain in the post on acetylcholine. For now, you should know that when a racetam affects ACh in some way, it usually means you need to make sure more ACh is available. Or the racetam will not be as effective. The other primary issue facing neurohackers are racetam-headaches. These headaches are unique because they usually only happen in a part of your brain. You’ll get to recognize them for what they are with more experience. Racetam-headaches are caused by using a racetam without enough supplemental choline. Your brain is telling you it’s starved for choline. Even if you’re not interested in nootropics or brain optimization, anyone over 45 years can benefit from a good choline supplement. You’ll experience more alertness, energy, faster recall and better memory. We all need choline for clarity and mental energy. 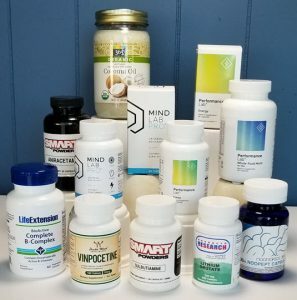 And we have several nootropic supplements to choose from to boost choline in the brain. And increase the synthesis of acetylcholine. We’ll review the best nootropics for boosting choline in your brain next. Alpha GPC (L-Alpha Glycerylphosphorylcholine) is a choline source derived from soy or sunflower lecithin. This highly bioavailable form of choline quickly enters your brain. As a nootropic supplement, Alpha GPC is about 40% choline by weight. Alpha GPC naturally occurs in your brain as a byproduct of phosphatidylcholine (PC). When your brain needs more choline, and choline floating around in your brain is running low, it breaks down PC from cell membranes. And turns it into Alpha GPC. And like other choline supplements, Alpha GPC provides the choline needed to synthesize acetylcholine. The researchers showed that memory function in healthy young people could be boosted simply by taking Alpha GPC as a nootropic supplement. Choline Bitartrate is choline combined with tartaric acid to increase bioavailability. One of the least expensive forms of choline, it’s about 40% choline by weight. Like other choline supplements, Choline Bitartrate provides the choline needed for acetylcholine synthesis. But neurohackers have found this form is not nearly as effective as other forms of choline. However, if Choline Bitartrate is the only choline supplement you have available, we do have the science to prove it works as a nootropic. A research team in the Netherlands gave 28 volunteers 2 grams of Choline Bitartrate or a placebo. An hour and 10 minutes after taking the supplements, they had participants attempt to hit the center of a target. The volunteers who used the choline supplement were not only more accurate at hitting the target center than the placebo group. The also did it faster. The researchers concluded there was a “choline-induced bias” towards precision, speed and accuracy. [vii] Now logic tells us that you’d have this positive outcome with any choline supplement. So if all you have to take is Choline Bitartrate – you’ll be OK.
One of the less expensive versions of choline, Choline Citrate is about 50% choline by weight. And like other sources of choline, provides the raw material needed to synthesize acetylcholine. Acetylcholine is the neurotransmitter needed to signal muscle movement. 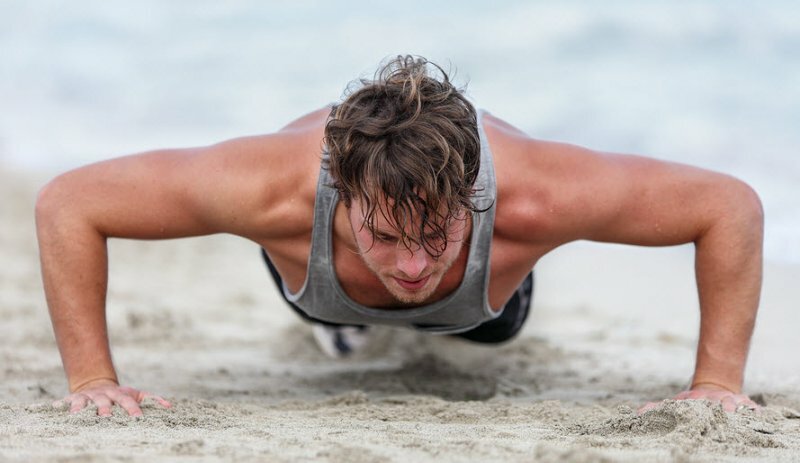 [x] But Choline Citrate is unique because it helps prevent fatigue, muscle aches and pain following a workout. I have personal experience with the benefits of Choline Citrate. For years, I saw a rheumatologist who injected cortisone into my shoulder muscles to relieve excruciating pain. Once I began supplementing with 3 – 4 grams of Choline Citrate per day, the severe muscle pain in my shoulders was gone. So Choline Citrate provides the double benefit of improving concentration, energy levels, focus and memory. Along with less muscle pain and faster recovery after a workout. The CDP-Choline supplement is unique as a choline source. Once it’s digested it separates into cytidine and choline. When it gets to your brain it converts back to CDP-Choline. Choline is needed for the synthesis of acetylcholine. And cytidine is a component of Ribonucleic acid (RNA). This molecule is involved in coding, decoding, regulation and the expression of genes. And once it gets into the brain, it converts to uridine. CDP-Choline is only about 18% choline by weight. 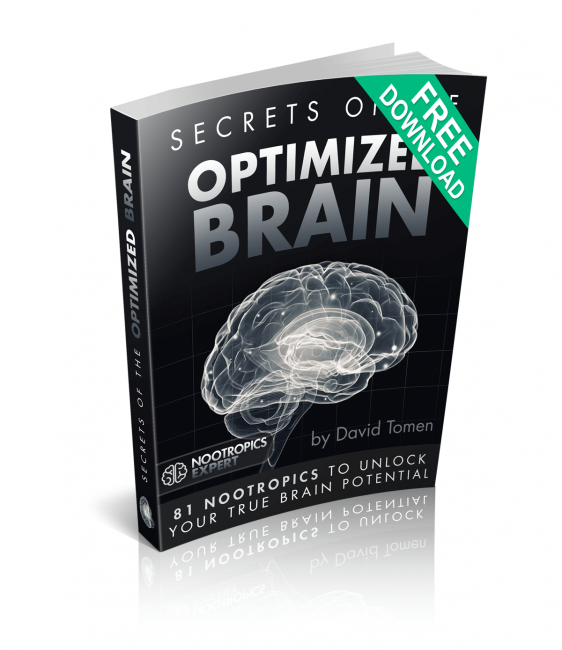 But it packs a punch when it comes to brain optimization. 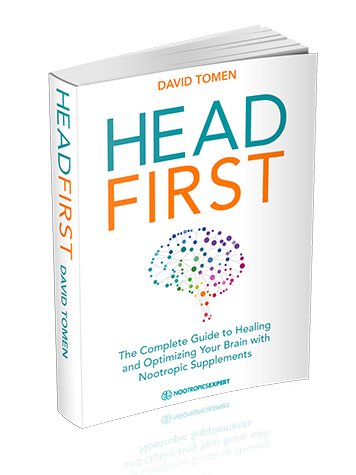 And is a favorite nootropic stack addition with many experienced neurohackers. 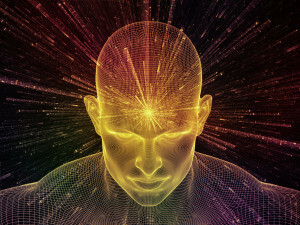 When it comes to choosing between CDP-Choline or Alpha GPC for your nootropic stack. There really is no contest. These two choline supplements work well together. The synthesis of acetylcholine (ACh) is largely dependent on the choline provided by phosphatidylcholine (PC). Alpha GPC is a byproduct of phosphatidylcholine (PC). And supplemental CDP-Choline provides the uridine needed for PC synthesis. So taken together, you provide your brain with the type of choline it needs right down at the cellular level. is a winning combination for any nootropic stack. Choline is considered safe and non-toxic. Small amounts are made in your body. And it is an “essential” nutrient. But too much choline, like all nutrients and supplements, can become toxic if too much is taken. Or your body does not need supplemental choline. My wife is a classic example. This stunningly beautiful, charming, intelligent women turns into the Wicked Witch From the West if she takes a choline supplement. Like any nootropic used for brain optimization, neurotransmitter balance is key. Excess acetylcholine will depress levels of dopamine, norepinephrine and serotonin. Serotonin and acetylcholine have an inverse relationship in your brain. In other words, as one goes up, the other goes down. So taking too much of a choline supplement can boost ACh too much. And force serotonin levels to drop. Every one of us needs choline to function. Choline is an essential nootropic supplement for anyone whose goal is brain optimization. We need choline to provide the acetylcholine affected by any of the racetam-family of nootropics. Your brain will start to literally consume itself to get the building blocks it needs to make acetylcholine. If you don’t provide it with enough choline. My favorite choline supplements after years of trial and error are CDP-Choline (Citicoline) and Alpha GPC. If I’ve got muscle pain, I’ll take Choline Citrate for a few days. Until the pain goes away. I use 500 mg of Cognizin™ (branded form of citicoline) per day in my nootropic stack. Cognizin is included in the double-dose of Mind Lab Pro I use every day. Whenever I feel a racetam-headache coming on I’ll take 500 mg of Alpha GPC. And the headache is gone within 15 minutes. Your Mileage May Vary. Each of us has a unique body and brain. So what works for me may not work as well for you. Listen to your body and give your brain the choline it needs. So i´m gonna take 15 mg of noopept and 100 mg of cdp-choline. I want to start low… Can i add alpha gpc here? If so, what would be the dosage of cdp choline and alpha gpc? These two combine in all stacks that need some choline sources? Francisco, I suggest using either Alpha GPC or CDP-Choline because it is the only way you will be able to find out which works better. But either definitely should be used with Noopept. Along with a healthy fat like Coconut or MCT Oil. And to get the full benefit of either choline supplement I also recommend following the low end of the dosage recommendations for that supplement. And not the dose you are suggesting. While 100 mg may be enough for your Noopept dose, you will not get the full therapeutic benefit of the choline supplement at such a low dose. Hi David, first of all thank you so much for your fast and understandable answers. I haven´t yet ordered noopept because i have some doubts and i want your opinion. So, i am a college student and mainly my exams are solving physical and math problems. In about 10 days my exams will start. What you think it´s the best nootropics to help me studying and solving these problems during these days? I have been searching a lot and noopept seems to be an excellent option for me, but it seems the half life is too short… How can i handle with this if my gold is studying during these days about 8h-10h? There´s any difference between noopept powder and capsules? May i take noopept for 30 days in a row? And you say it´s better taking noopept with a faty meal, so it is not advisable taking it early in the morning before or after breakfest? At the moment i´m taking in the morning B vitamins complex, 100 mg CoQ10 and 1000 mg DHA. It´s safe to take this 3 supplements like 365 days a year? Again, thank you so much for your answers. And what are your advised dosage of cdp-choline stacking with noopept? I will order 200 mg tablets. Francisco, you can use Noopept every day. In the dosage notes when I recommend a meal containing healthy fats or using coconut or olive oil, it means Noopept is likely at least partially fat-soluble and requires fats for better absorption. So you can take your stack before, during or after a meal. But I suggest using a tablespoon or coconut, MCT or olive oil as well. Your B-Vitamins, CoQ10 and DHA can all be taken with your morning Noopept dose. If you need it working all day, take 10 mg of Noopept in the morning and again at noon. Along with 200 mg of CDP-Choline each time. David, this is pure gold. Tnx. Nigel, soy or sunflower lecithin is an inefficient way to get choline. It supplies phosphatidylcholine (PC) which then must be converted in your body and brain to release choline. Which is then used to produce acetylcholine. Choline on it’s own is not helpful. So it’s much more efficient to use a choline supplement like Alpha GPC or CDP-Choline which is a more direct way to synthesize acetylcholine. The other problem is lecithin is extracted from soy or sunflowers using the solvent hexane. The same stuff they use to make varnish and glue. And unless you get “organic” soy or sunflower lecithin, your supplement comes from beans and seeds that are GMO’s. I am about to take a supplement that has a fairly high Cholinergic dosage- with both CDP, GPC, and Uridine (Legion Athletics Ascend). I’m concerned as the dosage is 850mg- what are your thoughts on this? Janice, it may be too high of an acetylcholine precursor dosage. But it really depends on the person. I could likely get away with it. But you may not. The only way to tell is try it and see how you feel. If unusual fatigue sets in 30 – 60 minutes after you take it then you know it’s too much for you. So ive just had my first day with CDP choline. This morning i had 1 cap = 250mg and about 45 mins later i had a ZEN-like moment where my brain was in that perfect state. However it did not last but ive felt pretty good all day and now have a noticable increase in attention as ive read twice as many articles compared to my usual study routine. Haakon, it’s a little more complicated than that. Pharmacokinetic studies show citicoline elimination occurs in two phases mirroring the biphasic plasma peaks, mainly via respiratory CO2 and urinary excretion. The initial peak in plasma (blood) concentration is followed by a sharp decline, which then slows over the next 4-10 hours. In the second phase, an initially rapid decline after the 24-hour plasma peak is similarly followed by a slower elimination rate. The elimination half-life is 56 hours for CO2 and 71 hours for urinary excretion. (http://archive.foundationalmedicinereview.com/publications/13/1/50.pdf). If we’re taking any of the Racetams, can we supplement the choline using ordinary egg yolks? You will not get enough nor a consistent amount of choline to support using racetams with egg yolks only. For best and consistent results with racetams you need accurately measured acetylcholine precursors like Alpha GPC or CDP-Choline. I want to combine Alpha GPC, CDP-Choline, and DMAE. Do you have a recommendation as to how much I should take of each? Luke, you’ll find my dosage recommendations in each individual review of these nootropics. But if you are stacking all three I’d keep the dosage at the lower end for each.